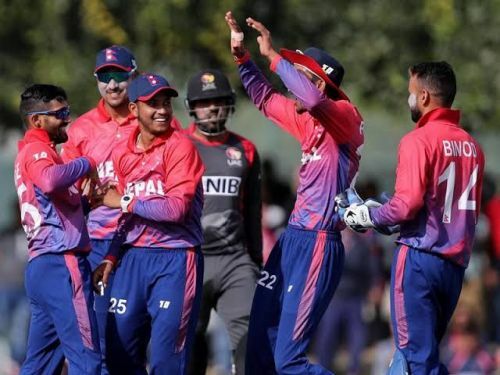 Nepal aims back to back series wins against UAE. 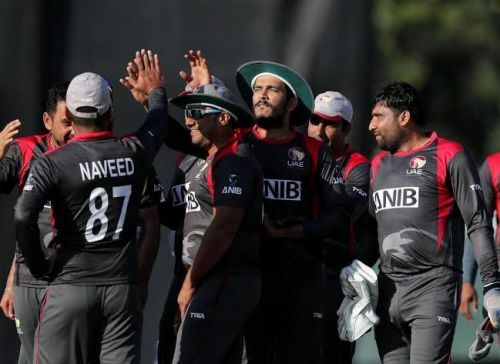 With the T20I series leveled on 1-1, both Nepal and UAE will aim to clinch the series when they face each other in the last T20I on Sunday at the ICC Academy in Dubai. Previous Clash at the ICC Academy: In their most recent meeting at this ground on February 1, Nepal managed to secure the honors in a low scoring thriller. Batting first, UAE scored 107 and Rizwan top-scored for them with 44. Despite a low target, the chase was not a cakewalk for the visitors as they were reduced to 46/5 inside 10.1 overs. But a gritty innings from Dipendra Singh Airee paved the way for visitors as they crossed the line with four wickets and three balls to spare. Nepal won the ODI series 2-1 and will look to win the T20I series as well. They came back from a 21-run defeat in the first T20I game to level the series 1-1. They have played some good cricket throughout the tour. Sundeep Jora was their star performer in the first T20I with an unbeaten 53. Dipendra Singh played a key role in Nepal's win in the second T20I as he scored an unbeaten 47 runs from 41 balls. He was well supported by Pawan Sarraf (18 runs from 25 balls) and the duo shared a crucial 55 run partnership for the sixth wicket to get them close. Meanwhile, they will also bank on the likes of skipper Paras Khadka and Pradeep Airee to lay down a strong opening wicket stand in the final T20I. Sandeep Lamichhane undoubtedly has been their best performer so far and leads the wicket chart with four wickets in two games. Avinash Bohara surprised everyone with his economical spell of 3/20 in the second T20I. Both Sompal Kami and Karan KC snared two wickets each in the previous clash. Paras Khadka (C), Gyanendra Malla, Dipendra Singh Airee, Sundeep Jora, KC Karan, Sompal Kami, Sandeep Lamichhane, Pradeep Airee (W), Avinash Bohara, Basant Regmi and Pawan Sarraf. UAE eye reversal in final T20I. Like in the ODIs, UAE had a similar start to T20I series and won the series opener, but lost their way in the second game. They will aim to finish it on the other end this time and one may expect them to come out in full swing in the series decider. Shaiman Anwar has been in decent form recent times, and has scored 41, 59 and 14 in his last three outings. Rizwan top-scored with 44 runs in the previous game and will have to replicate his show in the series decider. They will also bank on the likes of skipper Mohammad Naveed and Ashfaq Ahmed to give their best. Mohammad Naveed picked up three wickets in two games. The skipper boasts a lot of experience in his kitty and will be expected to lead the attack in final T20I. Sultan Ahmed was most economical of the lot in the previous game with figures of 2/9. Mohammad Naveed (C), Sultan Ahmed, Imran Haider, Zahoor Khan, Amir Hayat, Ashfaq Ahmed, Chundangapoyil Rizwan, Ghulam Shabber, Shaiman Anwar, Muhammad Usman and Mohammad Boota.